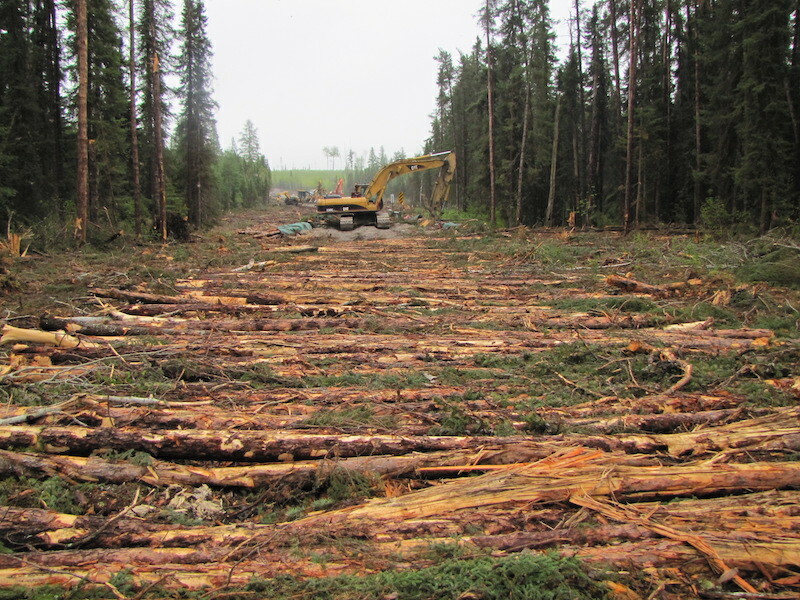 Resource roads are essential to forestry operations, yet maintaining the integrity of wetlands’ hydraulic functions must be integrated into road management. Photo courtesy FPInnovations. Society and industry recognize the vital roles wetlands play in our environment, from managing landscape water movements to fostering a habitat of unique vegetation and wildlife. Resource-based industries have long been adapting their practices to minimize the impact on wetlands. Resource roads can pose an environmental and operational challenge. 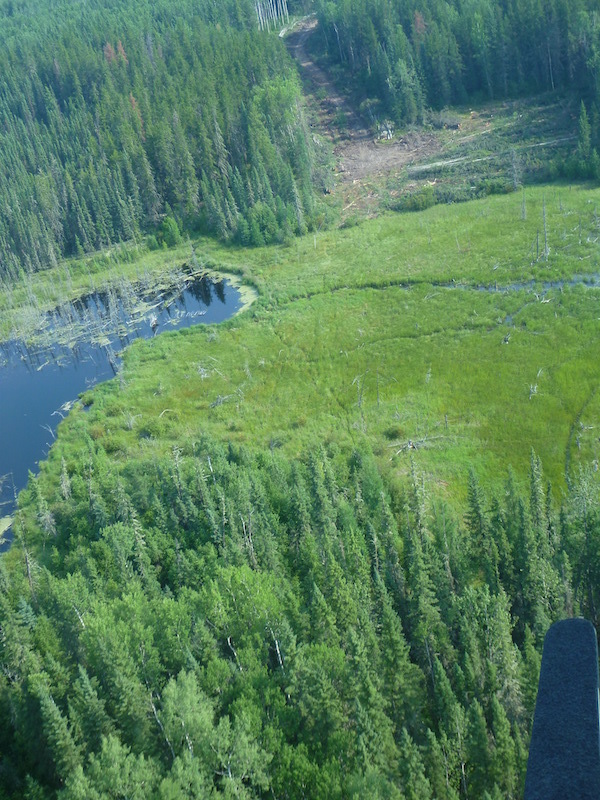 They are essential to forestry operations, yet maintaining the integrity of wetlands’ hydraulic functions must be integrated into road management. The two can co-exist by following best management practices. The results can also reduce construction and maintenance costs, as well as improve operational, economic, and safety performance. Locating wetland crossing possibilities and construction materials, as well as managing seasonal factors and mitigating soil erosion, are important aspects of making strategic decisions. Determining where to position the required conduits is a vital component of maintaining wetlands’ hydraulic functions. On narrow crossings, conduits may need to be installed at a higher density and the road-building material may need to be sourced from adjacent upland locations. Obvious surface flow patterns can be identified through a field survey. Locations with greater peat depth often indicate reduced bearing capacity and possible sub-surface water movement. The main types of geosynthetics are woven and non-woven geotextiles, geogrids, and perforated geocells. Non-woven geotextiles should be used only as a separation layer between the road material and wetland soils, while woven geotextiles may provide both separation and reinforcement of the road subgrade. Geogrids come in square or triangle-shaped openings and function as a reinforcement layer for road-base materials and allow a wider distribution of vertical pressures through particle interlock (snowshoe effect). Geocells also function as a reinforcement layer by confining the infill material, allowing the geocell and infill material to act as a platform that distributes the loads over the subgrade area. Corduroy, temporary access mats, and lightweight fill are some of the alternative materials that can be used in building resource roads across wetlands. With corduroy, tree-length logs are placed parallel to each other and perpendicular to the direction of travel. They allow for a wider road base, which distributes the downward forces from road fill and passing vehicles over a greater area, improving the bearing capacity of the site. Mats should be used only for temporary access. Where additional flow capacity is needed below an access mat, additional conduits should be considered to allow for lateral water movement. Lightweight fill, such as expanded polystyrene (EPS) or wood fibre, may be used for embankments, such as bridge-approach fills, while wood fibre may be used for temporary road construction. Locating wetland crossing possibilities and construction materials, as well as managing seasonal factors and mitigating soil erosion, are important aspects of making strategic decisions. Photo courtesy FPInnovations. Culverts, corduroy structures, log bundles, and aggregate mattresses are common techniques for managing surface and sub-surface water. Partially burying a culvert at an embedment depth of 40 per cent for round culverts is common, as is the use of bevelled culvert ends. The voids between logs in corduroy structures permit the movement of water. Accumulation of soil particles between the logs can be prevented by using a geotextile or brush layer. Log bundles, built by placing layers of logs through the road, address water movement concerns in a temporary road. Causeways and bridge approaches can be built from angular aggregate, which also allows water to pass through the voids between individual pieces. To promote these best practices, FPInnovations produced four videos in 2018 on managing resource roads across wetlands while respecting their ecological functions. 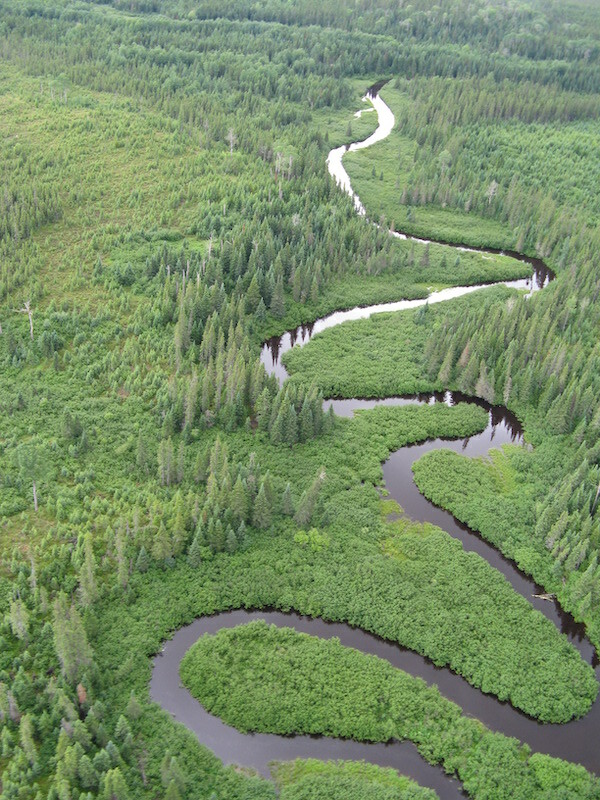 The six-minute videos are a companion guide to “Resource Roads and Wetlands: A Guide for Planning, Construction, and Maintenance,” released in 2016 by FPInnovations and Ducks Unlimited Canada, and partially funded by the Sustainable Forestry Initiative. To see the videos, go the FPInnovations YouTube page. Silvia Cademartori is a communications writer with FPInnovations, a national non-profit forestry research and development organization. This is all about wood business, not protecting the ecological values of wetlands! We have not yet achieved a full understanding of how they function and their value to society both from a economic and cultural perspective. Simply entering these valuable ecosystems places them at risk from invasive species, increased predator access and everyone knows the destruction humans have once access is made available. We can not be satisfied with mitigation measures which are so often used in resource exploitation. It simply means lessening the damage and damage we have done and are rapidly expanding into the very last intact ecosystems. To promote development in these critical lands is nothing less than misled priorities and a substantial lack of ecosystem knowledge.